Nature's Window Four Seasons wild bird seed blend. This everyday choice blend is packed with the energy birds search for. 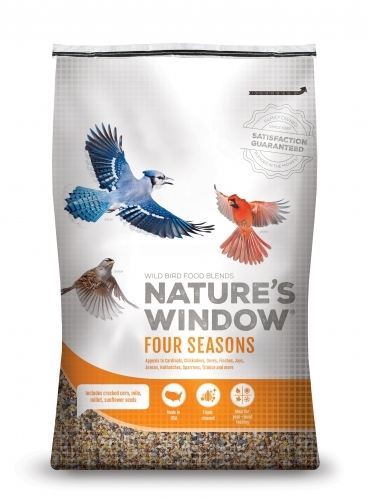 Nature's Window Four Seasons wild bird seed blend. This everyday choice blend is packed with the energy birds search for. Four Seasons is a perfect choice for new birders and long-time hobbyists alike. Contains: cracked corn, milo, millet & sunflower seeds.